A one percent It boy accompanied by intermittent aides and associates takes a stretch limo across Manhattan as the wave of financial speculation he’s been riding begins to break. 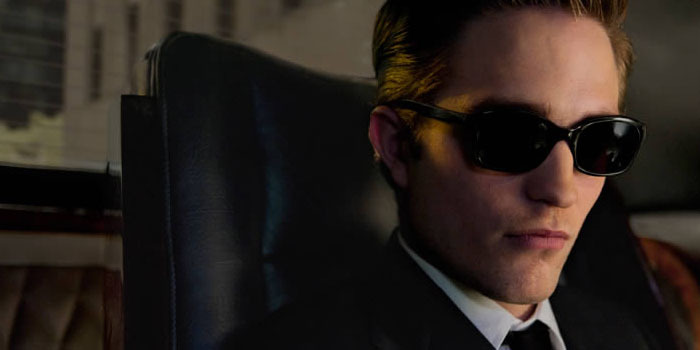 Cosmopolis is a road movie in a traffic jam. Most of the story takes place inside the car and is drawn almost entirely from epigrammatic dialogues that sound a lot like monologues. One is nevertheless won over as it becomes apparent Cosmopolis is trying to achieve something, or at least trying fulsomely and tirelessly to say something. It describes the fall of a world where money has become a thing unto itself, that talks interminably to itself, (much like Cosmopolis‘ characters) and has out-evolved and superseded its ancestors, namely us. But the super rich here are as blind to the riots outside their limo window as they are comfortable in the delusion they themselves will be anything more than the last to be eaten. Paul Giammatti proves the only cast member with the thespian chops to sculpt the movie’s monotonal sermons into sharp emotive relief, but mostly the words are so divorced from anyone’s actual humanity his empathos merely achieves a more artfully rendered contrivance. Cosmopolis has a sense of absurd humour though. Sometimes billed as a science fiction, it really has more in common with Zardoz or Barbarella than with Margin Call or Wall Street. PS: I nicked the use of ‘epigram’ from a review of this film by Roger Ebert, who passed away today. RIP sir.